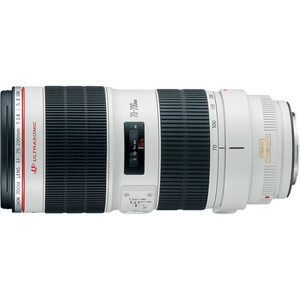 Canon 70-200mm f2.8L IS II USM is an Auto Focus (AF) Telephoto Zoom lens with 35mm FF max sensor coverage. When mounted on a 35mm FF sensor camera, it will give you an FF equivalent focal range of 70 - 200mm. With a max aperture of f2.8, this lens is fast on wide end and equally fast at 200mm with a max aperture of f2.8. This lens features on optical image stabilization which helps capturing sharper images at lower shutter speeds. Canon 70-200mm f2.8L IS II USM is weather sealed which makes it an ideal lens for outdoor use, especially when coupled with a weather sealed camera body. is the Canon EF 70-200mm f2.8L IS II USM a Weather Sealed lens? is the Canon EF 70-200mm f2.8L IS II USM an Autofocus (AF) lens?